The nature of climate change issues presents special challenges in terms of the need for global information and data on key planetary indicators that can provide the information required for governments and policy makers to make well-informed decisions. 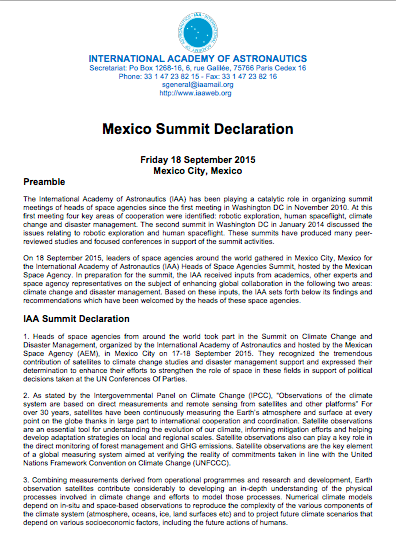 No single country can satisfy all of the observational requirements that are necessary for comprehensive and sustained monitoring of the Earth system, so governments are taking steps to harmonize and integrate their observing networks and satellite observing systems so that all the necessary measurements are provided in an affordable and optimized way. CEOS is the mechanism through which governments collaborate on satellite missions, data systems, and global initiatives to achieve this [Source: The CEOS Earth Observation Handbook Special 2015 COP21 Edition]. 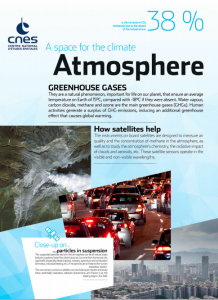 This page provides a wealth of satellite Earth observation information and resources relevant to climate. CEOS Agencies are collectively investing billions of dollars in space infrastructure with the capability to provide sophisticated, continuous, and sustained observations of the entire planet. The global nature of climate change issues presents special challenges in terms of the need for global information and data on key planetary indicators that can provide the information required for governments and policy makers to make well-informed decisions. Take a look at the following COP21-related resources. 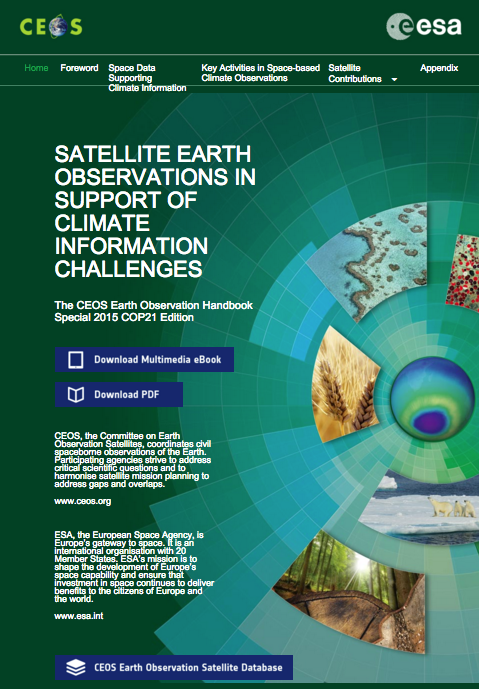 The CEOS Earth Observation Handbook presents the main capabilities of satellite Earth observations, their applications, and a systematic overview of present and planned CEOS Agency Earth observation satellite missions and their instruments. 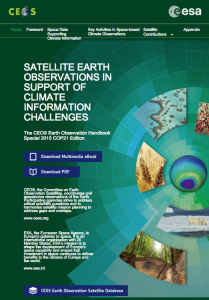 The Special 2015 COP21 Edition of the EO Handbook is available online and as a free multimedia eBook that offers a number of advantages including additional audio-visual content such as movies and interactive graphics, improved navigation and linking, and a convenient format accessible on your mobile device. In tandem with the Special 2015 COP21 Edition of the EO Handbook, a Climate Chapter has been added to the CEOS Database enabling members of the community can browse and discover the nature of GCOS Implementation Plan and Essential Climate Variables, actions being taken by CEOS agencies in support of GCOS, and the contributing satellite missions and instruments. 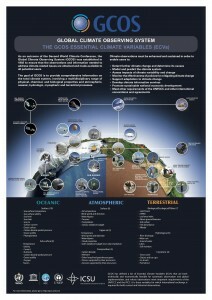 The Climate Chapter can be found here. 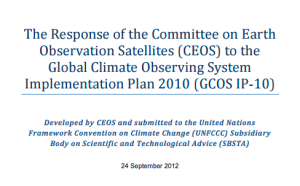 This Statement is a progress report from the CEOS/CGMS (Coordination Group for Meteorological Satellites) Working Group on Climate (WGClimate) on an integrated response to the United Nations Framework Convention on Climate Change (UNFCCC) needs for global satellite observations (to be delivered during the 43rd session of the Subsidiary Body for Scientific and Technological Advice, SBSTA-43). 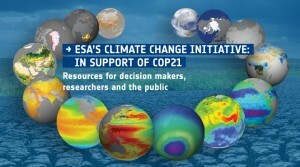 ESA’s Climate Change Initiative website contains a wealth of resources related to monitoring Earth’s climate from space, including fact sheets on how ESA is using satellite data to measure and monitor climate change, details about how teams of scientists are improving satellite data records for climate research, and more. 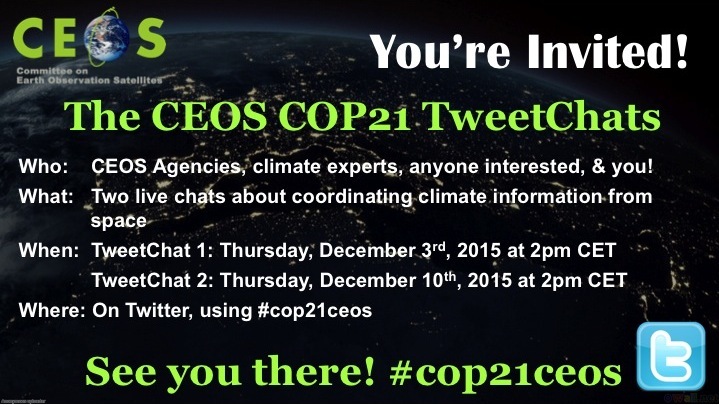 CEOS will host two live TweetChats during COP21, during which we invite you to join us to discuss the coordination of climate information from space. These events are open to the public. CEOS Agencies and all organizations interested in climate mointoring are encouraged to join the conversation on Twitter. Follow us on Twitter @ceosdotorg to learn more. Here are some ECV-related information resources for you. This poster provides information about the importance of climate observations and includes the list of oceanic, atmospheric, and terrestrial Essential Climate Variables (also known as “The ECV Inventory”). This document defines a program to carry out the space-based contributions to the GCOS Implementation Plan. It represents a blueprint comprised of detailed plans for all of the ECVs accessible from space. Also see the 2015 Update of Actions to the original CEOS Response. The European Space Agency (ESA) just released its annual update to the CEOS MIM Database (October, 2015) — the only official, most up-to-date, and comprehensive statement available from the world’s civil space agencies on their governmental Earth observation programmes and plans. The CEOS MIM Database is an excellent resource that features details of 296 Earth observing satellite missions and 830 instruments that are currently operating or planned for launch in the next 15 years – funded and operated by ~ 30 CEOS Agencies worldwide. It also features historical missions (dating back 10 years or more) with data archives that provide important references for current and future applications. The MIM Database Climate Chapter explores the link between the Essential Climate Variables and the missions, instruments and measurements that are essential for provision of more than half of the ECVs. 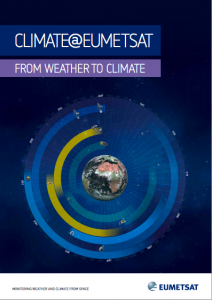 optimisation of the planning of future satellite missions and contellations to expand existing and planned Climate Data. 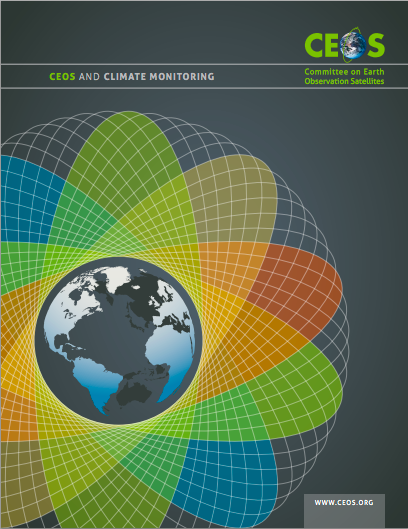 This easy-to-read brochure details the role CEOS plays in Climate Monitoring. 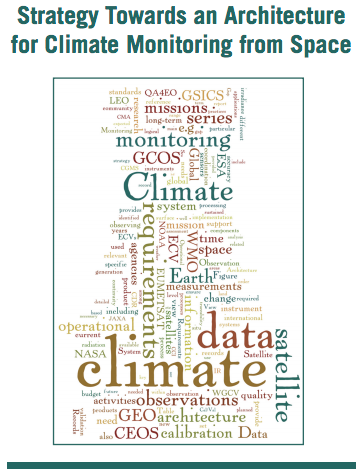 The CEOS/CGMS Working Group on Climate (WGClimate), established in 2010, is the center-piece of CEOS contributions to climate change monitoring. 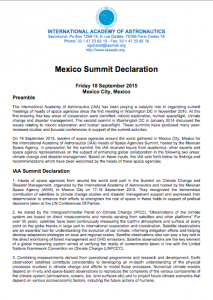 This group including CEOS Agencies and the Coordination Group for Meteorological Satellites (CGMS), coordinates and encourages collaborative activities between the world’s major space agencies in the area of climate monitoring. CEOS ensures international coordination of civil space-based Earth observation programmes. 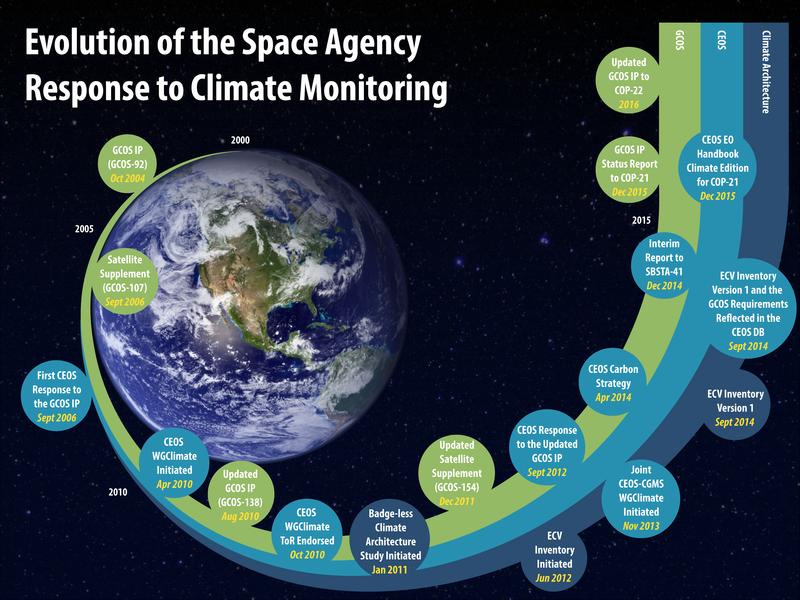 The Global Climate Observing System (GCOS) progresses the systematic definition of climate information needs in support of the UNFCCC, while CEOS coordinates the planning of the satellite contribution to fulfill them. 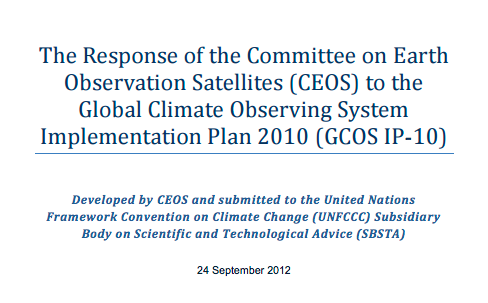 This Statement is a progress report from the CEOS/CGMS (Coordination Group for Meteorological Satellites) Working Group on Climate (WGClimate) on an integrated response to the United Nations Framework Convention on Climate Change (UNFCCC) needs for global satellite observations (delivered last year during the 41st session of the Subsidiary Body for Scientific and Technological Advice, SBSTA-41). 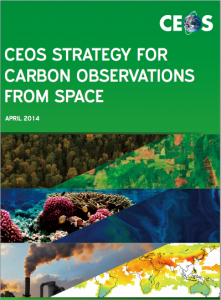 Since satellite-Earth observations of carbon are critical for effective carbon-monitoring, CEOS, as the primary international forum for coordination of space-based Earth observations, published a response to the Group on Earth Observations (GEO) Carbon Observation Strategy: The CEOS Strategy for Carbon Observations from Space (2014). 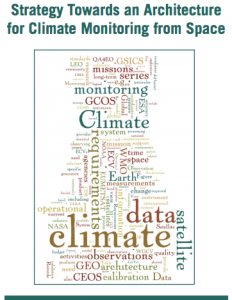 The CEOS Strategy details the adequacy of past, present, and planned satellite measurements of carbon in the land, oceans and inland waters, and atmosphere domains to support GEO. Specifically, it identifies important actions CEOS and its Agencies must take to better coordinate existing and future capabilities, as well as challenges that require additional resources and/or mandates beyond the present capacity of CEOS and its member Agencies. 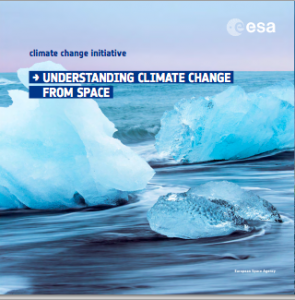 CNES: COP21, Le Climat : Des Solutions Spatiales?